There are a few things, I find, that are always on the London Tourist's "must see and do list." 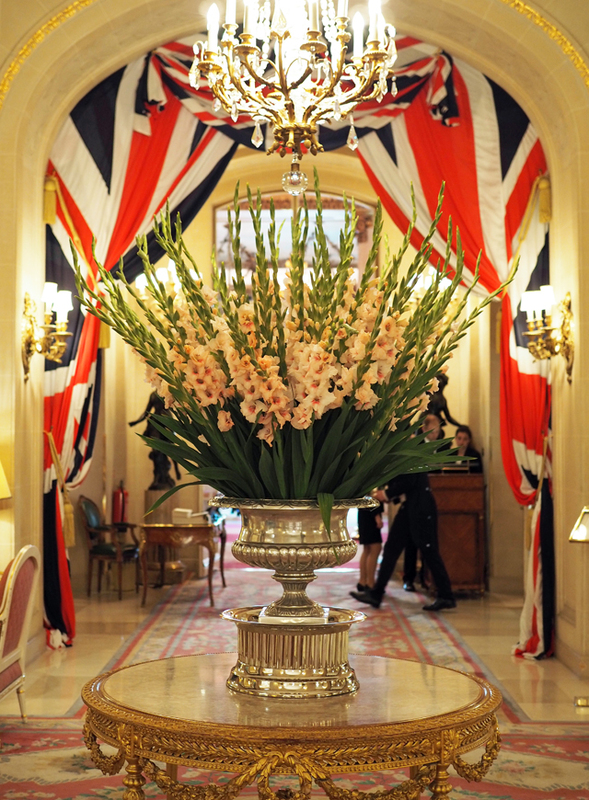 If it's a "money is no object" list, then staying at The Ritz is most definitely sitting at the top of the to-dos. 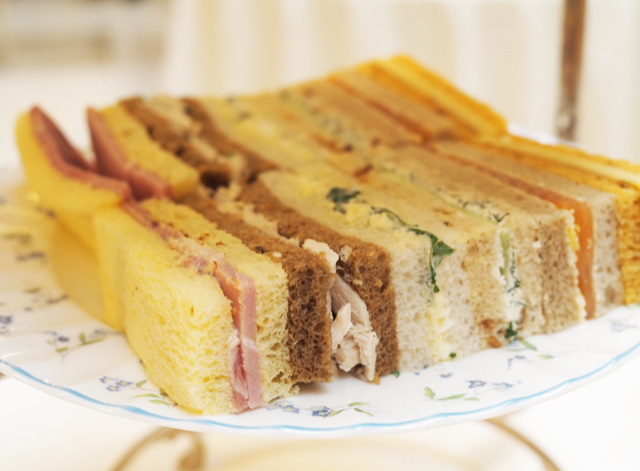 If the list is "the best of British traditions," it will almost always feature afternoon tea at The Ritz London. There is a waiting list as long as my arm and tea-goers make reservations months in advance for the opportunity to attend. And here's the thing- you never know who you'll be sitting next to. 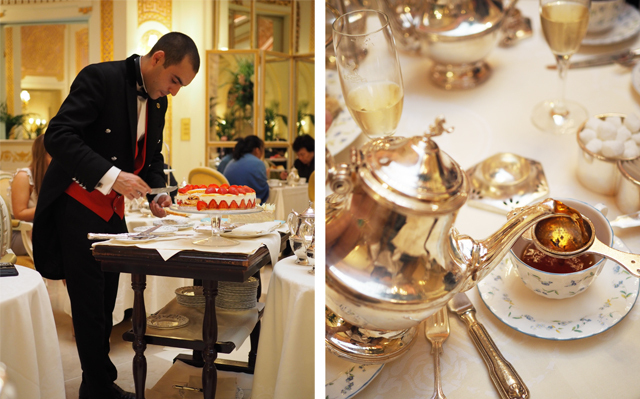 Tea at The Ritz is a rite of passage and it seems to be loved by tourists, locals and celebrities in equal measure. Because, in all honesty, every single visitor is treated as if they are, in fact, a member of the Royal Family. 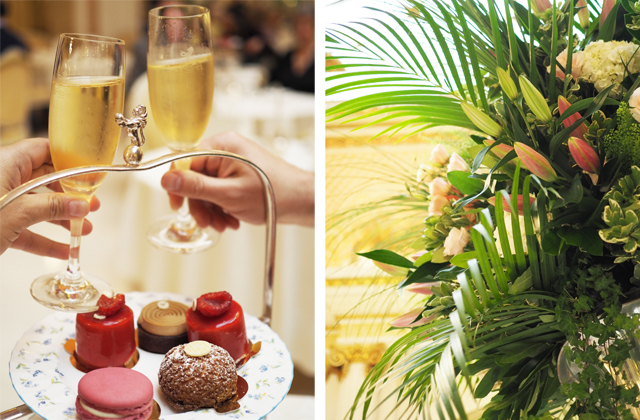 We sat for tea at The Ritz London this summer and found the whole experience almost overwhelmingly full of charm and tradition. We also learned, very early in the game, that every gentleman must wear a tie when attending. Take note of this! Mr. FFG was my guest at the table and we had to borrow a tie from the cloak room before sitting down. Don't risk having to borrow a tie that doesn't suit your ensemble. And ladies, go as bold as you dare in dressing up for the event. We saw everything from office casual to "ready for the races at Ascot" chic. But, leave the denim at home. It has no place here. Basically my rule of thumb for Afternoon Tea at The Ritz style is this: dress as you would to meet the queen. 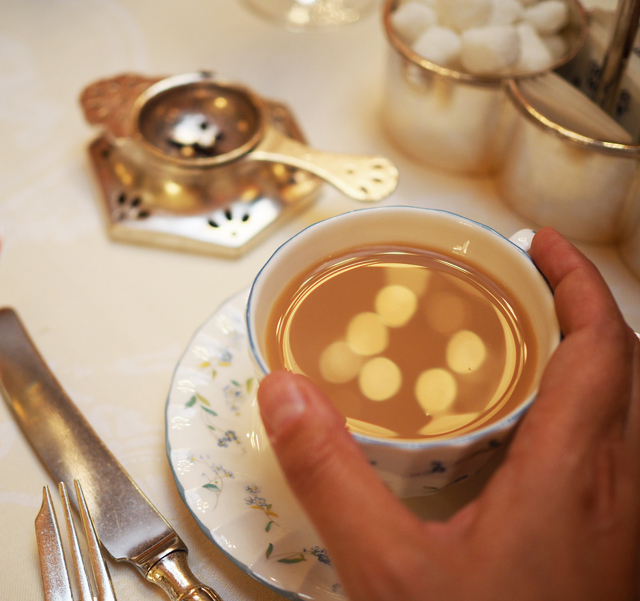 Now, your first encounter at the table will be the with the tea sommelier (The Ritz is the only hotel in the UK to have one). He's there to help you figure out which of the 18 teas on offer will suit your tastebuds. Listen to this man. He has it all sorted out and will not lead you astray. I came away with a whole new appreciation for three different teas. Then ready yourself for food, oh the endless food. The sandwiches and cakes come out first, followed by freshly baked scones and melt in your mouth butter and jam. This should surely be enough to fill your belly. But, that's not where it ends. Towards the end of your tea, a man with a trolley comes strolling around the tables. He's there to offer you up a selection of slices from cakes that are too good to pass up. If only I had known this before devouring everything on our tea tray with great gusto. 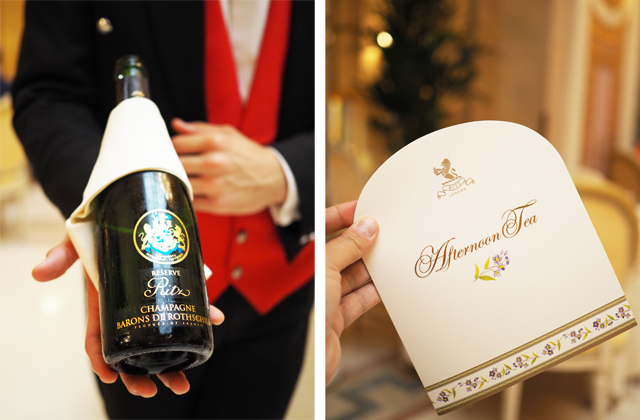 The most important part of your afternoon tea comes down to you. There's live piano music to enjoy, champagne to sip and fantastic food at your fingertips. Every single thing is taken care of for you, to make sure you have a wonderful experience. So make it happen. Take a few moments throughout to really just take it all in, to sit back and enjoy the way in which the staff move around in perfect harmony, twisting and twirling as they deliver goodies for every new arrival. Now a few words about booking. 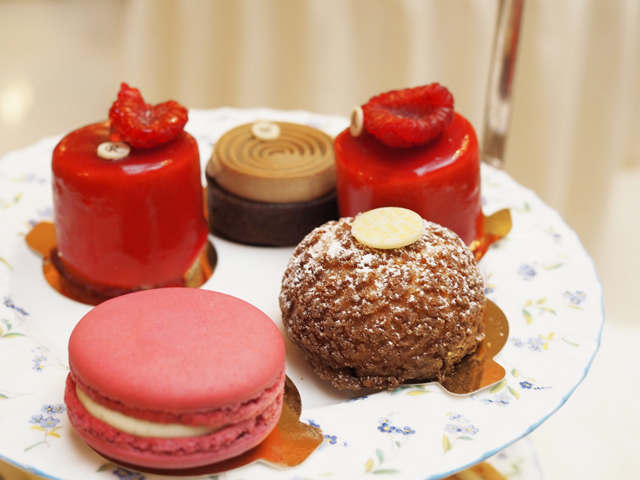 There are five seatings for afternoon tea, daily- 11:30, 13:30, 15:30, 17:30 and 19:30. 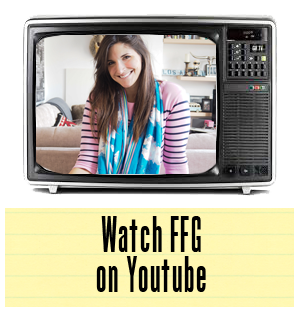 Your sitting can act as brunch, lunch, dinner or anything in between! Prices start at £54, £30 for children and you can book here (oh, and Christmas tea is apparently the most magical thing ever). Fashion Foie Gras was a guest of The Ritz London for Afternoon Tea.